My husband and I always buy gifts that we need, and with our anniversary close to Christmas and my husbands birthday straight after Christmas often the gifts for Christmas are joint presents for birthday or anniversary. We prefer to do things this way as it means we can give each other more expensive or luxury items. I have asked my husband this year for a new phone. After the very grainy images my current phone took of my son when he was born and its inability to focus I have got too frustrated with it and would like a new phone. My husband would like a watch, one he can wear to work and for special occasions. 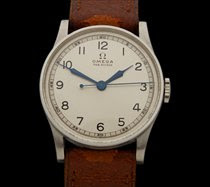 In my research to find him the perfect watch for Christmas [and his birthday] I have come across a company who sell second hand omega watches. Omega is one of the industries leading timepieces and a brand that can be trusted. They also place a huge emphasis on performances. Looking through the collection I can see that there are savings of around 70% and there are a few I would love to buy for my husband. The watch meets my husbands requirements that it can be worn for work and also for special occasions. Personally I think it is a timeless piece that will match any outfit and one with a touch of class. Do you do the same as my husband and I and have joint birthday/Christmas presents?